A candlelight vigil for Laquan McDonald, who was killed last year by a police officer in Chicago. CHICAGO — A black teenager shot 16 times by a white Chicago police officer was a ward of the state when he died, having spent years being shuttled among relatives’ homes and foster care from the time he was 3. Laquan McDonald, whose name demonstrators have shouted for two days and will likely shout again during a planned rally to disrupt the city’s famed Magnificent Mile shopping corridor Friday, lived a troubled, disadvantaged life. He had at least one previous brush with police. School officials and the McDonald family lawyer say there were signs Laquan was trying to get his life in order, though prosecutors say he had drugs in his system and was burglarizing cars on Oct. 20, 2014 — the night a squad-car video captured officer Jason Van Dyke shooting him. Protesters and civil rights activists are demanding more investigations and police reform after Van Dyke was charged with first-degree murder this week. There have been two nights of small, peaceful demonstrations, and the Rev. Jesse Jackson and others have called for a ‘‘massive’’ march on Black Friday along Michigan Avenue, a swank downtown boulevard that’s normally packed with post-Thanksgiving shoppers. The city’s decision to withhold the video has left it with a bigger challenge than it would have had otherwise. McDonald’s family has appealed for calm, and his mother at least initially opposed the public release of the graphic police video showing his death, attorney Michael Robbins said. 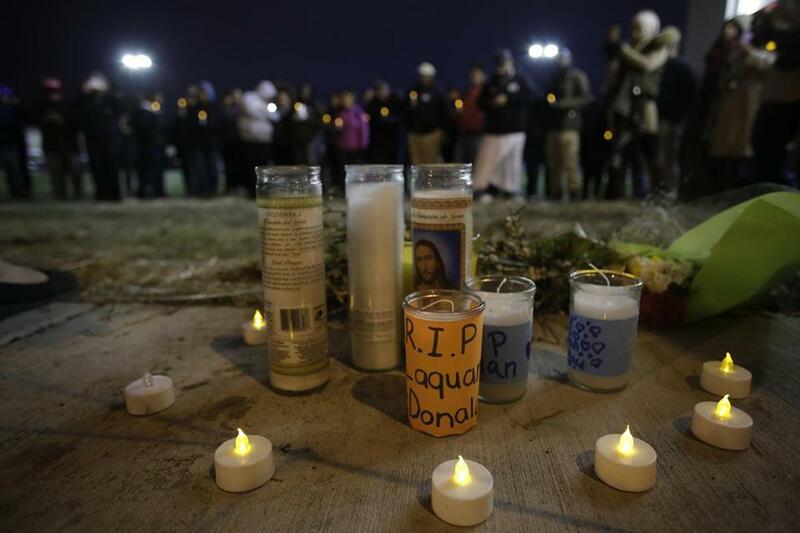 ‘‘Don’t resort to violence in Laquan’s name,’’ a family statement said Monday. The family, who received a $5 million settlement from the city months before Van Dyke was charged even without filing a lawsuit, has declined to speak with the media. Robbins would not comment on the family’s history other than acknowledging it was splintered. He said McDonald grew up without his father involved in his life. McDonald’s mother had been trying to regain custody of her son before he was killed and had been granted permission to take a younger sister back into her home, Robbins said. McDonald spent most of his 17 years as a ward of the state. According to Illinois Department of Children and Family Services’ records, he was taken from his mother at age 3 in 2000 because the agency had deemed she didn’t provide him with proper supervision. He was placed in a foster home. He later moved to his great-grandmother’s and returned to his mother in 2002. But citing physical abuse by the mother’s then-boyfriend, the state took McDonald away. From around age 6 to 16, he lived with his great-grandmother and then stayed in the same house with an uncle after his great-grandmother died in 2014. McDonald was arrested for possession of marijuana in January 2014, state records say. 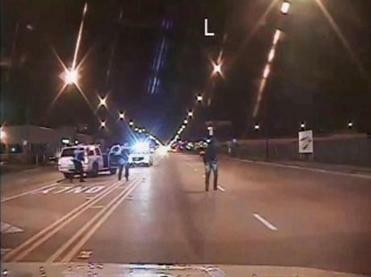 On the night he was shot, police suspected him of breaking into vehicles and stealing radios, Cook County State’s Attorney Anita Alvarez said. As police approached him, he allegedly slashed a tire of one of the squad cars with a knife. An autopsy report said small amounts of PCP, a hallucinogenic drug, were in his system. Gattuso said McDonald took the initiative to attend a school for at-risk students and high school dropouts between the ages of 16 and 21. That was some proof McDonald understood he needed to get his life together, Gattuso said, describing the student as quick to smile and hug his teachers. He regularly made As and Bs, Gattuso said.